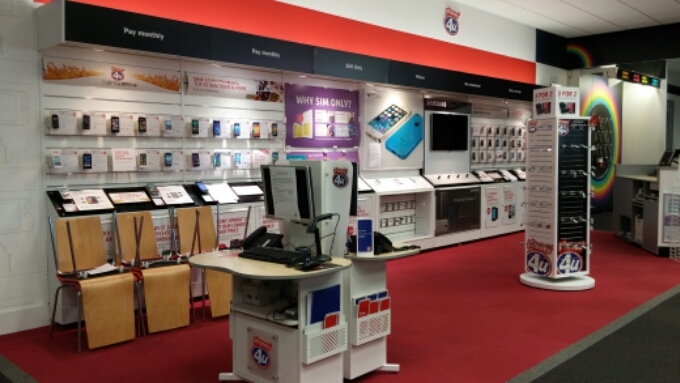 This morning Phones 4u stores up and down the country have closed their doors. They have effectively been blocked from trading by their suppliers. If you operated lots of ice-cream vans but all the suppliers of ice-cream refused to supply you, you’d be pretty much out of business. Here it’s the same. Phones 4u have no networks, no plans / tariffs / contracts to sell because there’s no network offering them any. Yes, those EE and Vodafone agreements are still in place until next year, but Phones 4u have chosen to jump before they were pushed. Finding a way out of this situation seems near impossible. Unless a deal is reached with a network (perhaps on a massively reduced commission basis), I’m doubtful that Phones 4u will ever re-open. Personally, if I’m being honest, I think Carphone Warehouse may have borrowed the Phones 4u time machine and seen what was coming. Their Dixons Carphone deal will probably mean that the company will be selling tablets, laptops and other electrical items under a slightly different name (Curry’s / PC World) in the high-street instead of phones. 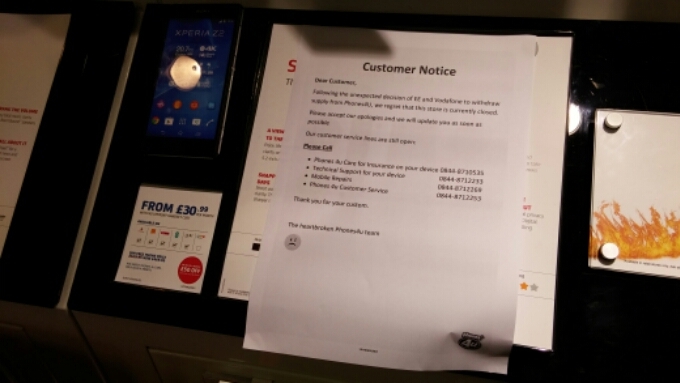 Sure, Vodafone and others are publicly supporting Carphone Warehouse at the moment but, as we’ve seen in the last 24 hours, things change very quickly. 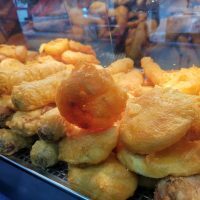 Right now, in my humble opinion, the administrators will be looking to sell the shops to the networks, who will then probably cherry pick the best ones depending on their location. 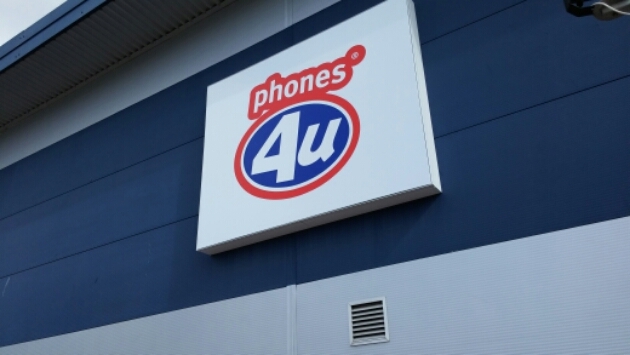 To put it simply, the £105 million profit that Phones 4u was making is destined to end up in the pockets of the networks, who are concentrating on direct sales online and through their existing brick-n-mortar stores. Let’s not forget the near 5600 staff and the cost of running a lot of those stores. Take all that out of the equation and there’s an even greater profit possible. Networks have seen their revenue getting squeezed, with EU laws putting caps on roaming charges, 4G roll-outs to be paid for and so on. Paying big commission rates on contract sales through independents like Phones 4u? Well, remove those costs, add on some of the profits you’re taking after the demise of Phones 4u and well, you can see why the networks are doing this. The merger of Carphone Warehouse with Currys / PC World could mean that they’re better protected if / when the networks cease to offer contracts there too. The future though, is big networks (and some of the MVNOs like Tesco) selling direct on the high street and online. Others will continue online, like giffgaff etc, but rather than Phones 4u returning to the high street to potentially offer MVNO deals, I believe they’ll sadly be another boarded-up shop on your high street pretty soon. Our shopping habits have changed yes, but we’ve also become more aware. We read reviews of phones online, we go into store (but mostly online) with one phone in mind and we’ve already researched the deals usually too. There’s also more people buying a handset and going on a rolling monthly plan, or perhaps having a “split plan” where the airtime and handset contracts are separate. Savvy buyers are hopping networks, choosing what’s best for them rather than having certain deals and handsets recommended to them. For your next phone, you’ll either pay up front for a SIM-free handset (perhaps on the Apple store or John Lewis / Expansys etc), or you’ll choose a network and head to their shop or online store to buy there. 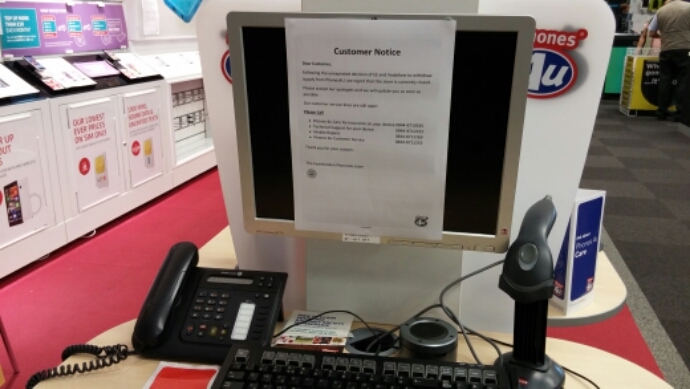 Sadly, and especially for those thousands of staff at Phones 4u, the independent contract seller is doomed.